Cate: Please welcome Kit Wylde. Kit, will you please share a short bio with us? Kit: Absolutely. 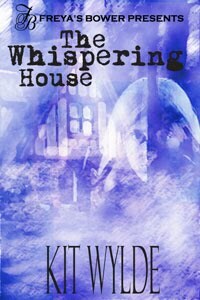 Kit Wylde is a pseudonym of Marci Baun. 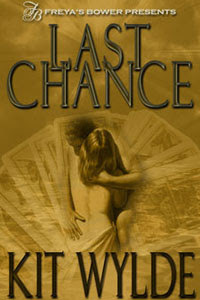 In this guise, I write paranormal and romance stories. Some stories have a combination of both, while others are just one or the other. Cate: Tell us about Hieroglyphs and where it's available. Cate: Sounds fascinating. Cool cover too. 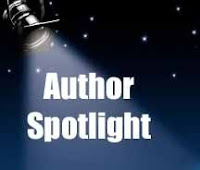 Please tantalize us with a story blurb or excerpt. 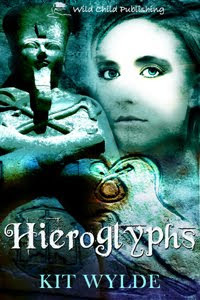 When a new hieroglyphic alphabet is discovered on an ancient Egyptian scroll, expert archaeologist Joslyn Wetherly is called in to decipher it. Joslyn is obsessed with the scroll, and that obsession threatens her marriage. But soon her life is threatened as the secrets of the scroll prove dangerous. Before Joslyn realizes what is happening, she is embroiled in a rivalry between two long-dead pharaohs, their Egyptian gods, and past life karmas. Will Joslyn survive the secrets revealed in the scroll? Or will she be the next victim of the ancient feud? Kit: Hm… That’s tough. I would just say my style of writing. Cate: That sounds very cool too! What inspired you to draft your first story? Cate: Now I have comment envy. :) Do you have a writing routine? Cate: I know I'm grateful for all your hard work at Freya's and Wild Child! Where can readers find you on the web? Kit: What compels you to take a second look at a book? Is it the cover? The blurb? The excerpt? A combination? Cate: Readers, Kit is giving away a book to a random commenter... so start commenting. She'll pick a winner and post the name here, so be sure to check back. Thanks for being my guest, Kit! Best of luck to you, in both guises! "Hieroglyphs" sounds like a great read. Good luck getting out of your corner on your WIP. It sounds like you have the talent to pull it off!